Being one of the fastest developing areas of linguistic research, World Englishes has received increasing attention in the research scholarship. There have been published monographs and books series which focus on various aspects of the spread of English across the world. However, given the burgeoning development in the field and growing demand from researchers and educators for relevant resources, there is a need to update some of the existing research and, more importantly, there is an exigency to extend the research scholarship to areas that have not hitherto received due attention. These are also the research gaps this proposed book series hopes to fill, in particular, the need for rigorous features-based and empirically-driven studies on World Englishes. 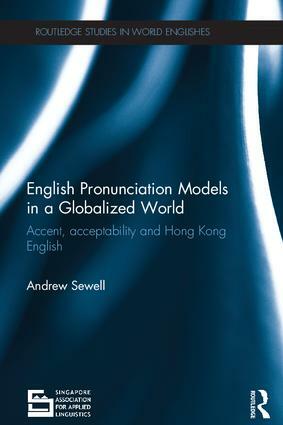 This Singapore Association for Applied Linguistics book series will provide a starting point for those who wish to know more about the aspects of the spread of English in the current globalized world. Each volume can cover the following aspects of the study of World Englishes: issues and theoretical paradigms, feature-based studies (i.e. phonetics and phonology, syntax, lexis) and language in use (e.g. education, media, the law and other related disciplines). It will contain a comprehensive bibliography of works published on the particular areas at the end of the book. To provide an up-to-date documentation of language in use, in education, and language policy issues in World Englishes.